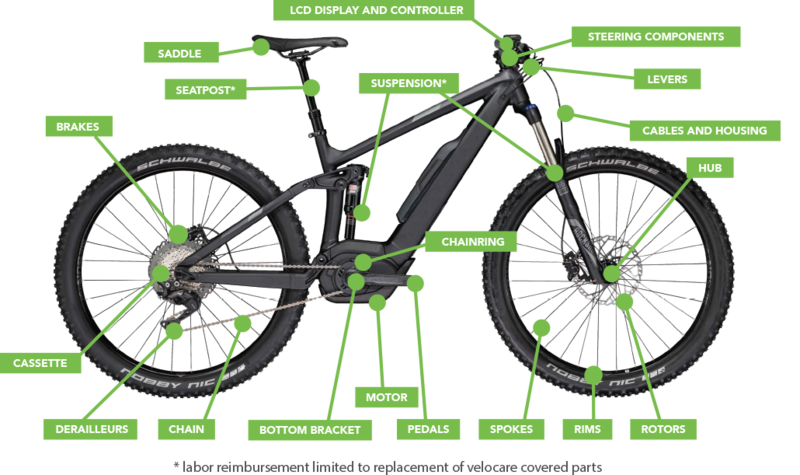 INCLUDING THE DRIVE-TRAIN, SHIFTERS, AND DERAILLEURS. 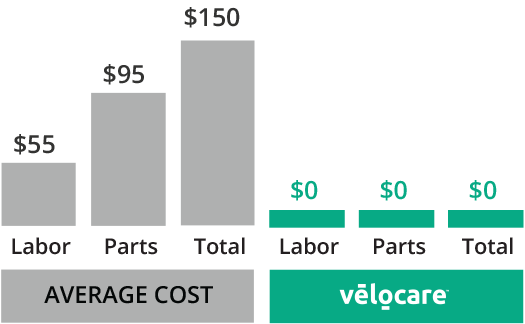 Velocare service plans are available from participating Velocare retail locations with plans based on the price of your bicycle and starting at $105.00 for a 3 year plan. Please ask your Velocare dealer for protection plan details. If you already purchased a bike elsewhere less than 30 days ago, you can get Velocare for it from a Velocare participating bike shop.